I'm sure some of you have seen already, but how amazing is Lauren's new collection? I especially love the velvet and the cape! Everything is so perfectly fall-ish and extra pretty, and who could go wrong with those two things? One of my absolute favorite things about this blogging thing is the wonderful friends its allowed me to make. Lauren is definitely at the top of that list! The handful of times we've hung out have been so fun, she is one of the nicest, littlest, cutest people I know. So its no wonder her collection would be so great! Also, in my dream world I just sit around and sew and have a store with all of these creative friends I have. Just thought you should know. So pretty! 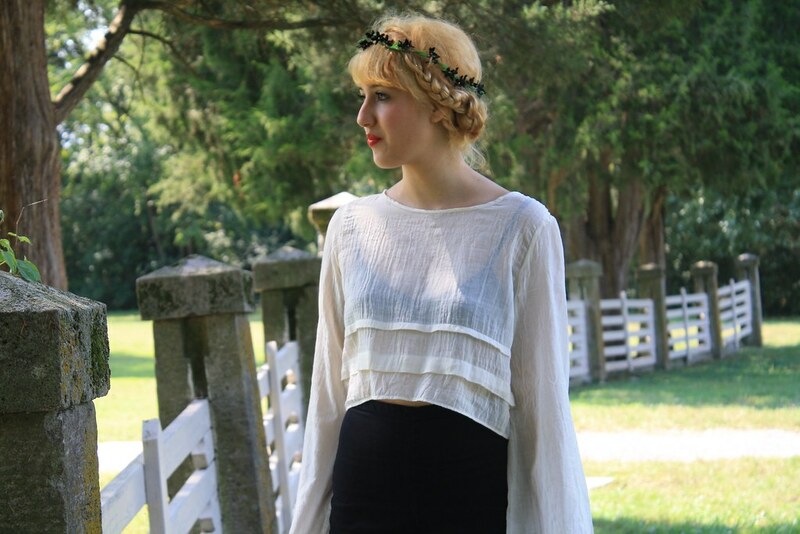 I love the gauzy cheesecloth top. These are amazing looks..and I'm totally loving the hair! This is all really amazing, especially that floral print!! Thanks for sharing, I'll definitely keep an eye on this brand. oh..that´s my dreamworld too! have to take the machine out more often! LOVE the cape! So great for preppy fall! Holy gorgeousness! I love Autumn. My favorite season, by far. All of these outfits are stunning! that floral dress is to die for! This collection is so gorgeous, and Lauren is such a sweetie pie! I love her to death. vanessa, you are the best! thanks so much for sharing this :) if only we did live closer so we could sew all the time!